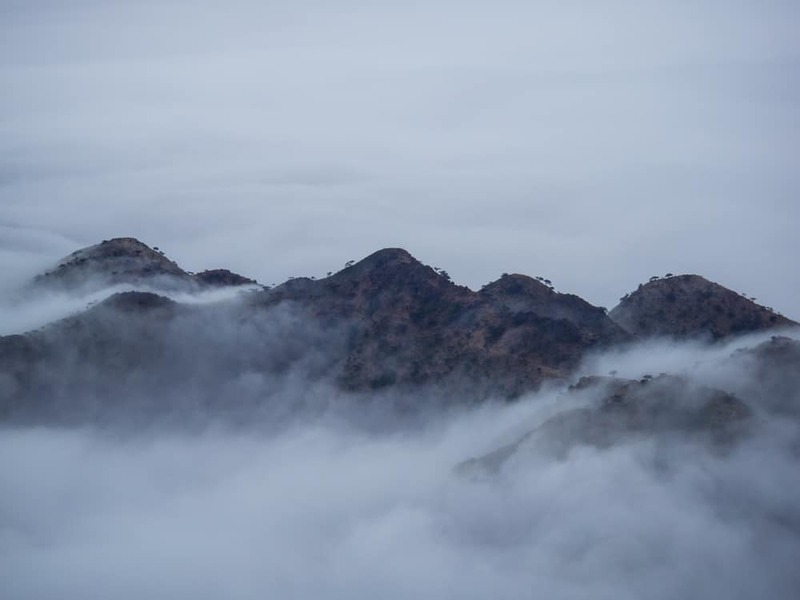 The southern part of Eritrea is where some of the oldest human skeletal remains are found in the world. 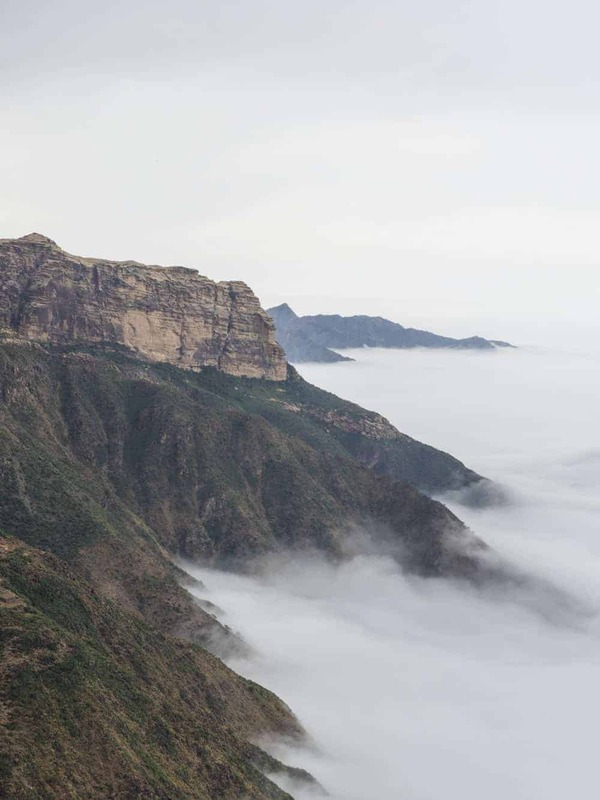 The southern part is also the home to the Qohaito Cultural Landscape located on a plateau of 2700m/8858feet. 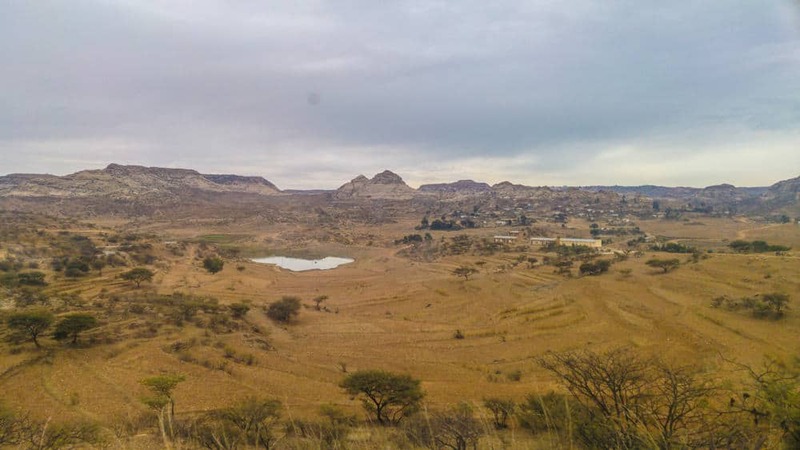 The area is recognized as UNESCO World Heritage site, and this is part of Africa that is rarely visited by foreigners. Some of the oldest humans remains in the entire world is found here, dating back over 1 million years old, the skeletal remains that are found here provide the first link between hominids and the earliest anatomically modern humans. 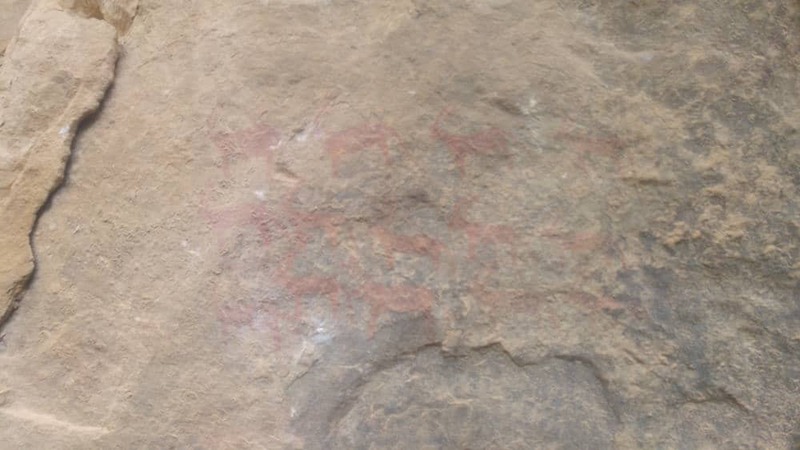 There are also some rock paintings here dating back more than 5000 years, and some historical remains that are said to be a pre-Christian temple and other remains that are supposed to predate the Aksum Kingdom 100–940 AD. The four columns that make up the pre-Christian temple. 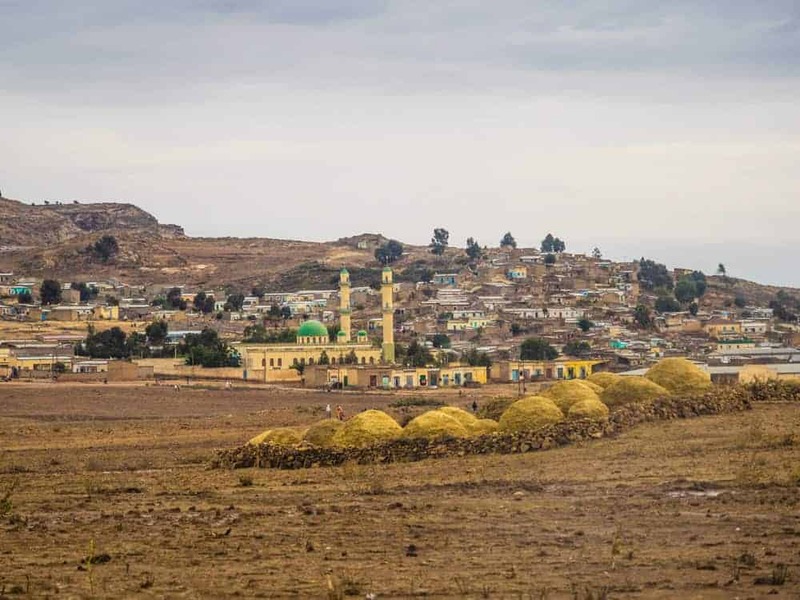 Historian’s don´t agree, but many think that Qohaito were once the inhabited walls of the ancient town called Koloe, a settlement that predated the Aksum kingdom. The ruins are covering a massive area of 2.5km (1.5mi) by 15km (9mi), and it´s thought that only about 20% of the area has been excavated. 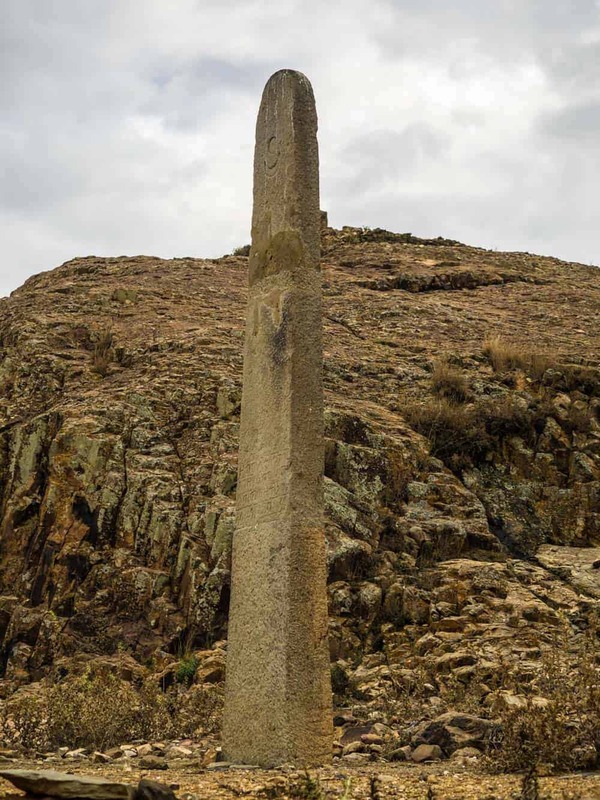 The pre-Christian temple here is called The Temple of Mariam Wakiro and is made out of for four small stone columns. Not really impressive, but still part of an impressive and mostly unknown history. 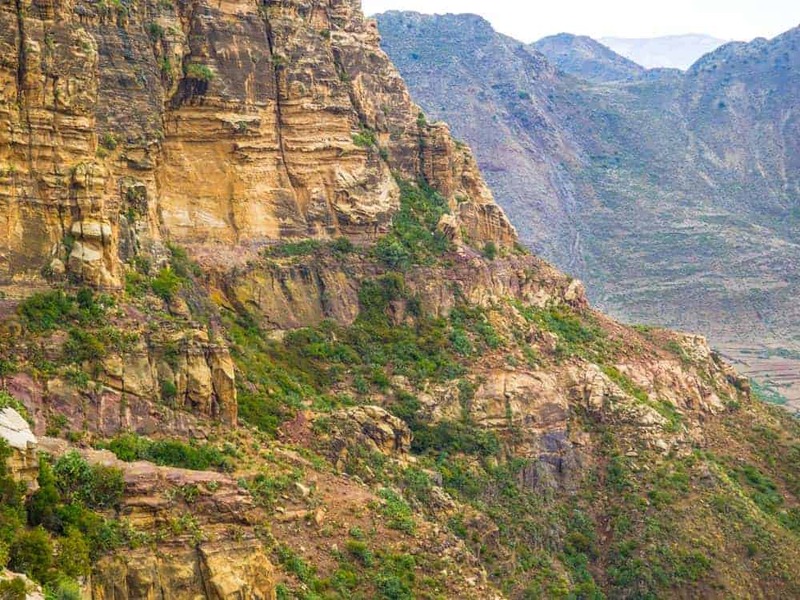 Only a few minutes walk away from the remains of the temple is the Qohaito Canyon. The view from the edge of the canyon on a clear day offers a breathtaking view; the locals claimed that it´s possible to see all the way to the Red Sea. 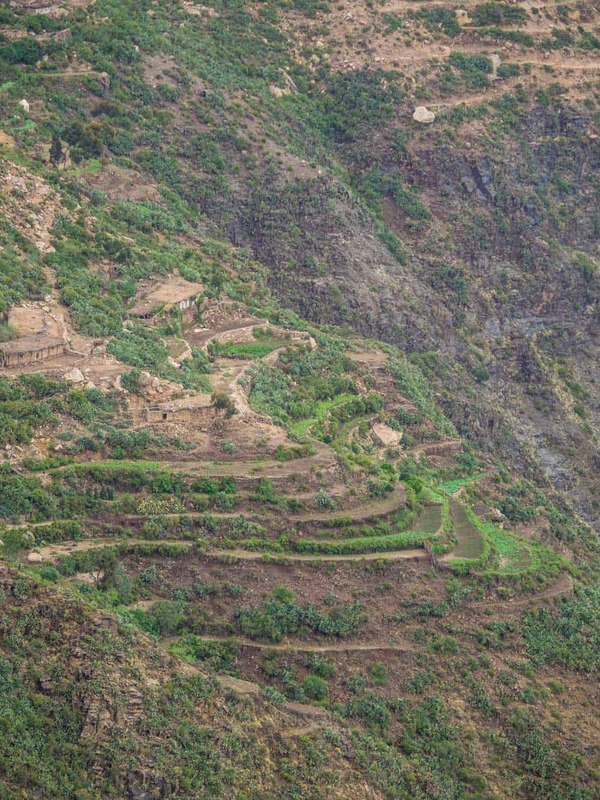 Around the canyon, you can see some really remote villages built along the steep valley´s walls. This is also where the only coffee production in Eritrea is happening. 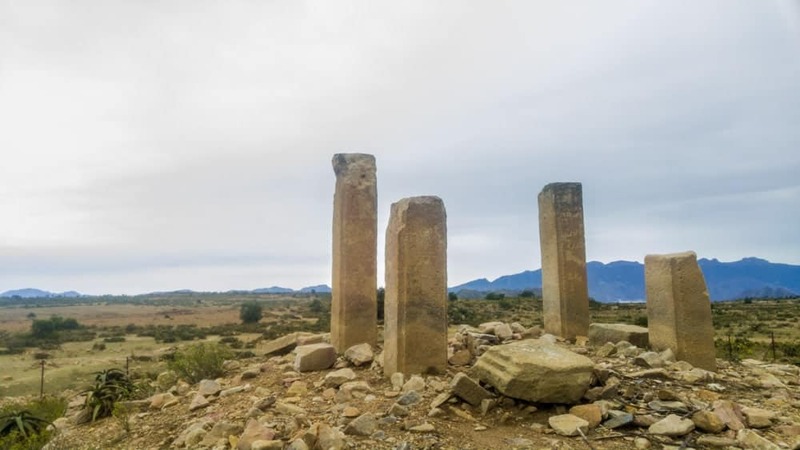 This is the historical part of Eritrea, where you will see archaeological and historical sites that are a part of Africa that´s really of the beaten path that just a small numbers of western tourist have ever seen. There is also some old rock carved tombs here. 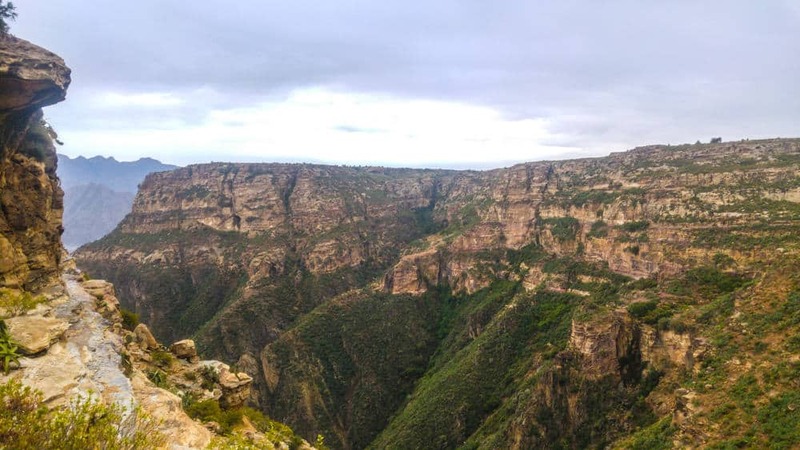 And a short drive away is some 5000-year-old rock paintings that are on cliff walls that require a short but very steep climb, that I wouldn’t recommend undertaking by people with vertigo or people that are afraid of heights. The path goes along the cliff side there to the rock paintings. The path is al long the cliff side. View from the caves with the paintings. 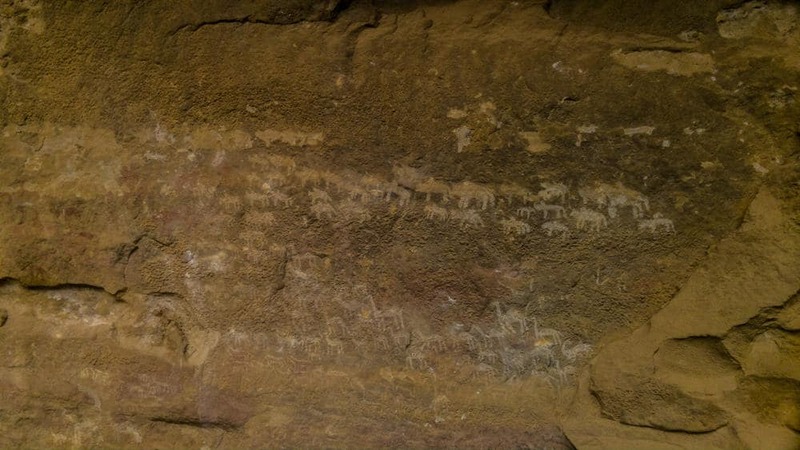 The 5000-year-old rock paintings of Eritrea. There are two different sections of the paintings. 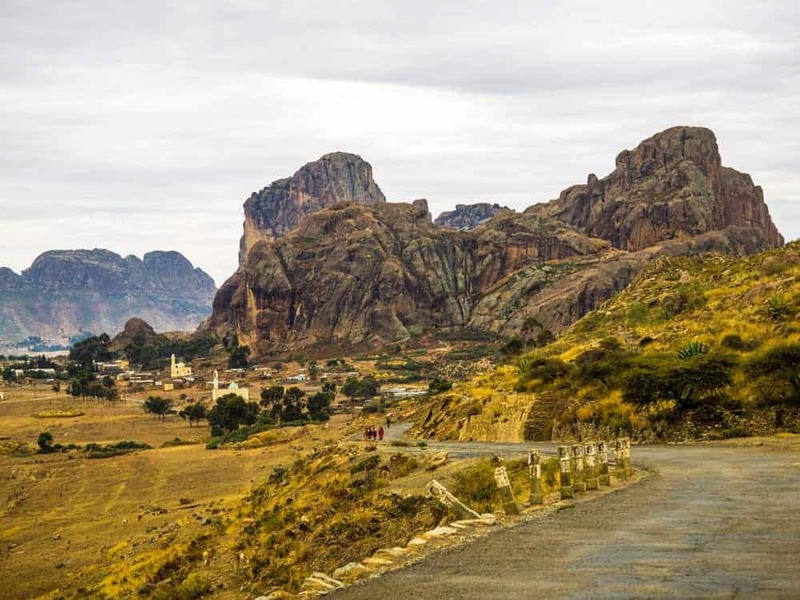 It´s not an easy thing to find the sites down here; you will travel for 5 hours along the highway down to Senafe the last town in Eritrea before reaching the border with Ethiopia. The distance between the capital Asmara and Senafe is only 132km/82Miles. But the road is extremely bumpy and don’t seem to have been maintained for centuries making the trip take around five long hours. 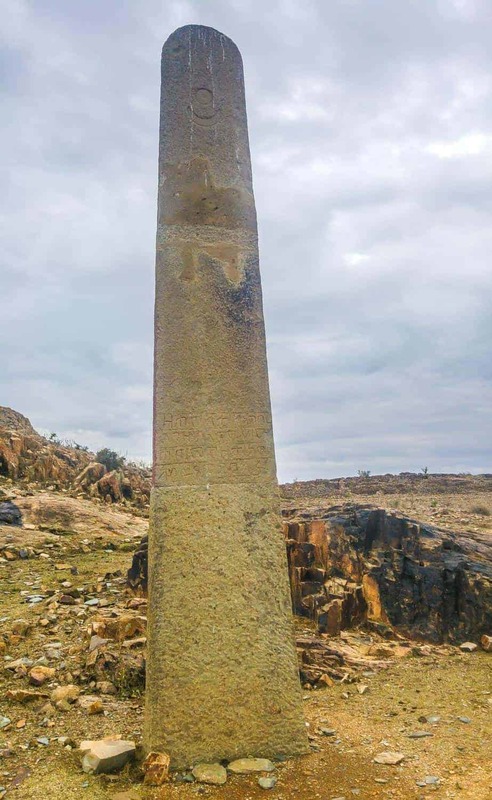 Just on the outskirts is the one column of Matara, all the other historical artifacts that belong to here are kept in Ethiopia. 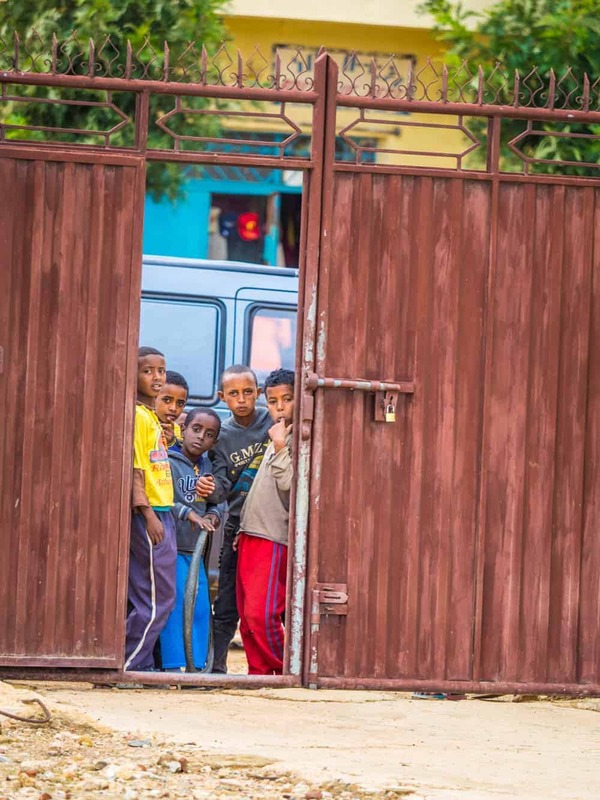 Eritrea is demanding to get them back, but with no luck. 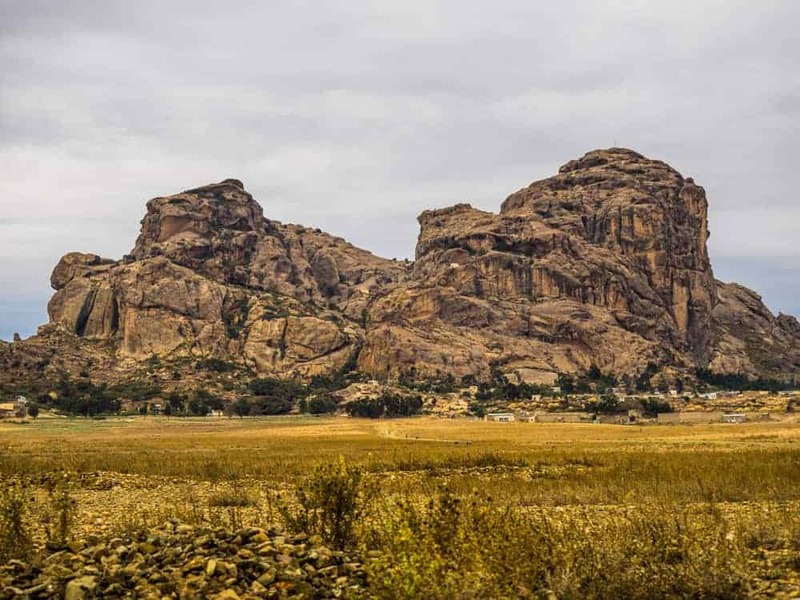 There are some strange rock formations down here in southern Eritrea. Local kids, not to used to see foreign tourists. 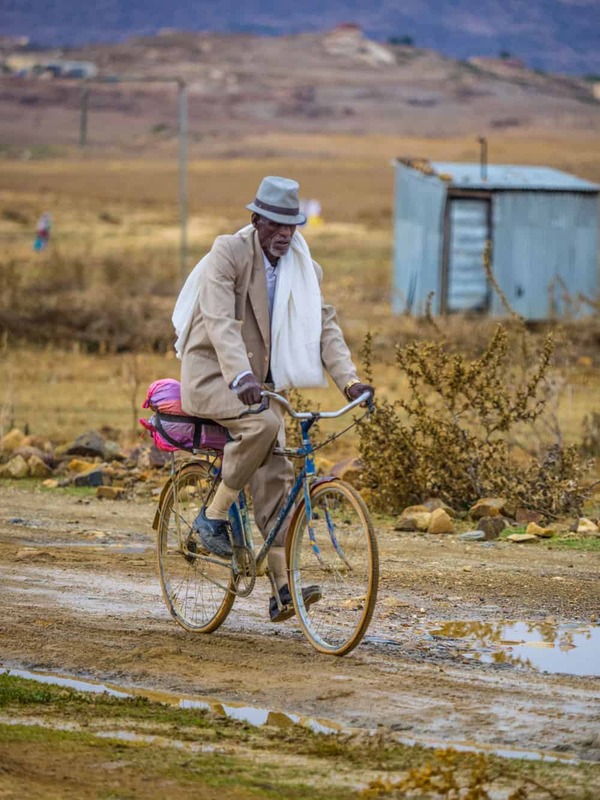 Because of the proximity to the Ethiopian border, you will come across a lot of armed people down here, and even tour travel insurance will not cover you down here since you will be less than 25km from the Ethiopian Border. But a funny thing is when you get less than 30 KM away from the border will your phone be able to connect to the Ethiopian phone network, I had forgotten to put my phone in flight mode (your sim card is not able to connect to Eritrean network) and I was surprised when my phone started beeping from incoming messages. P.S. All photos in this post is taken with my half broken Phone since my camera decided to die from all the dust earlier on my trip.